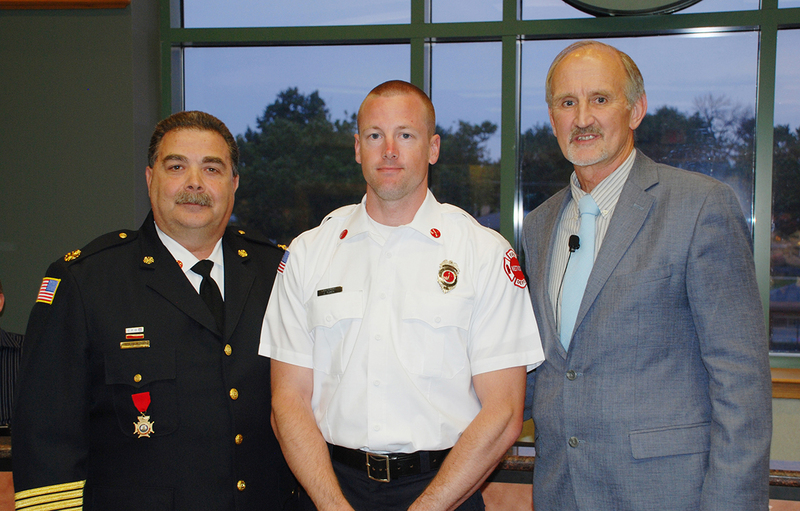 The 100 Club of DuPage County recently announced that they will be presenting Westmont Fire Department Lt. Josh Turen with their Award of Valor at their 33rd Annual Dinner and Awards Night later this month. On April 29, 2015, the Westmont Fire Department responded to a fire alarm in the King Arthur Court apartment complex. Upon arrival, there was heavy smoke and the report of a person still in the apartment. Lt. Turen, without regard for his own safety, entered the apartment. After a quick search of the premises, he was forced back by the intense heat and retreated from the apartment until a charged hose line was in place. Once the charged hose line was in place, his crew then proceeded into the apartment and extinguished the fire. While the crew was extinguishing the fire, Lt. Turen located the victim approximately 12 feet inside the apartment and removed him from further danger. The 100 Club Award of Valor is a life-long honor of law enforcement officers and firefighters chosen by their peers for heroic actions above and beyond the normal expectations of their duties and their jobs. The 100 Club of DuPage County established in September 1982, is a private, non-profit charitable organization incorporated under the laws of the State of Illinois. The Hundred Club of DuPage County offers assistance to families of law enforcement and firefighting personnel who have been killed, injured, or otherwise stricken while residing or working in the county. For more information about the 100 Club of DuPage County, please visit hundredclubofdupage.org.